Looking to sell my 2006 Washburn USA N4 E-SA with flight case. Guitar was bought as NOS just a couple years back. It has only been played lightly in my home studio. Excellent, practically new condition. Bridge BL USA L-500XL replaced with Wilde (Bill & Becky) L-500XL. Both bridge pickups included with sale. Rest of guitar is stock and as new. PM me for further details, photos and asking price if interested. Moderator: I'm new to the forum, so if this type of post is against the rules, please accept my apologies and close the thread. 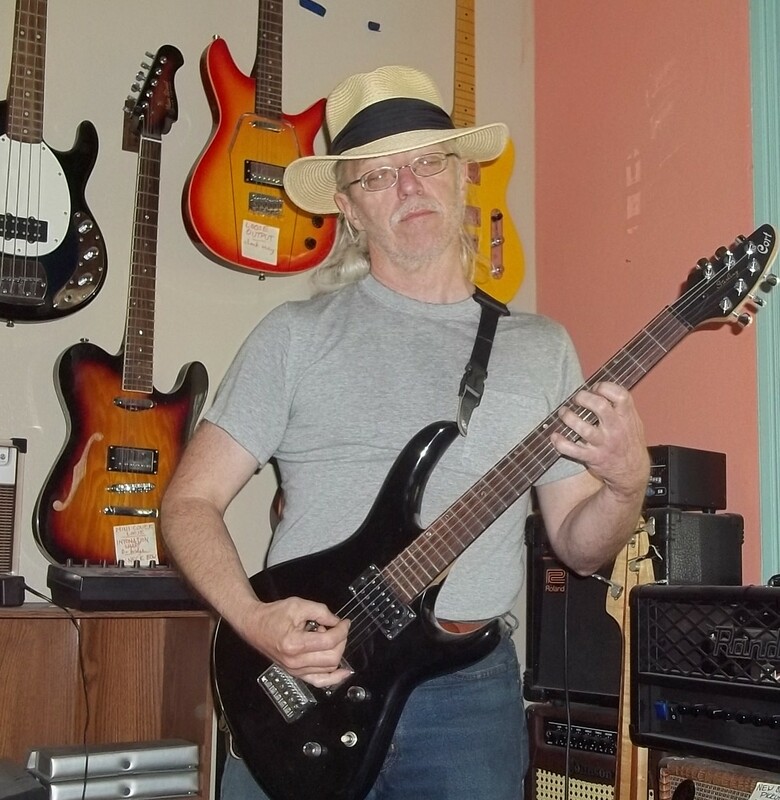 Can't believe there's not more interest in this guitar on an N4 forum. 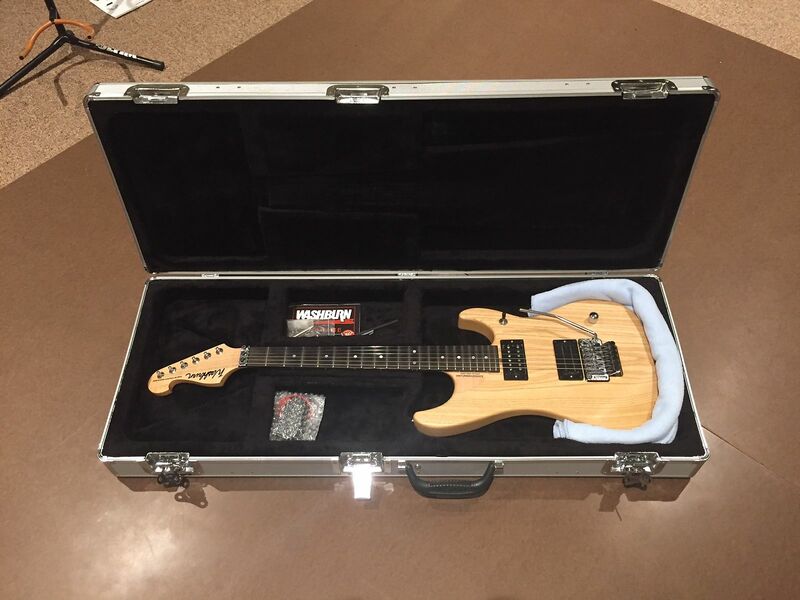 The guitar is like new and comes with flight case and both Bill Lawrence USA L-500XL and the installed Wilde (Bill and Becky) L-500XL bridge pickups. Shoot me a message of interested. I figure it's a bit like visiting a site for owners of classic Chevy Corvettes: most who show up there already own one. Then there's gawkers, fans, & day-trippers. We do see"WTB" posts from one-timers, but that's really random, & often as not they're hoping the seller is so disgusted trying to unload the axe that he'll slash the asking price. Now, if you were selling PARTS, there might be a little interest. FWIW, book value on the N4 line at 98% seems to be like $1,100 to $1,500, & that's about where recent online sales have been. This is unusual; Fjestad's Rule says that veryvery few guitars ever reach their street price (40%-50% of MSRP), & the handsful that top MSRP do so only after decades of inflation & myth-building. Most fanboys seem satisfied with an N1, N2, "Signature," or even (ugh) Sonamaster. It's not unusual to see an N2 priced $500-$750 because they know there's plenty of clueless buyers. I don't foresee the N4 value going up significantly in the next decade, especially with clones & counterfeits -- stuff that used to get chased off eBay with one complaint is now staying despite multiple Nuno-fan reports. The price stabilization collapsed the "collector market" who expect to have an immediate (if small) profit cushion. Yes, the one that you linked the picture to is the one I have up for sale. I posted the link to the Reverb.com listing in my previous message, but the picture does help, so thanks for linking out to it. I agree that the correct price for a good condition used N4s seems to be between $1,100 and $1,500, which is why I've priced mine as I have. It is in like new condition and includes the flight case and both BL USA and Wilde "Bill & Becky" bridge pickups. There's value here, and certainly more than the beat up, well-used N4s I've seen on the market. In general, it's hard to find N4's in good condition on the market, and the new N4s that Washburn is offering are are going for $2,500+ street price. I can't believe that true fans of these guitars would settle for an import N2 over a USA Customshop N4, especially when you could get a lightly used real USA Customshop N4 like mine for under $1,400. To be honest, if I can't sell it for a reasonable amount, I'm more likely to just keep it, given it's like-new condition and the fact that it's a great player. I'm not interested in giving it away and I'm under no duress to sell it. I just thought I'd switch it out for something new in the collection. I've had a couple people make low-ball offers trying to steal it for a few hundred bucks, and that's not going to happen. Any serious buyers looking to score a great N4 in like new condition, let me know. Guitar is no longer for sale. Closing thread.